At Google for India this Monday, we announced the final release of Android 8.1 Oreo. Android 8.1 Oreo is another exciting step toward bringing to life our vision of an AI-first mobile platform, for everyone, everywhere. Android 8.1 introduces support for our new Android Oreo (Go edition) software experience for entry-level devices. Android Oreo (Go edition) brings the best of Android to the rapidly growing market for low-memory devices around the world, including your apps and games. Android 8.1 also introduces the Neural Networks API, a hardware accelerated machine learning runtime to support ML capabilities in your apps. On supported devices, the Neural Networks API enables fast and efficient inference for a range of key use cases, starting with vision-based object classification. 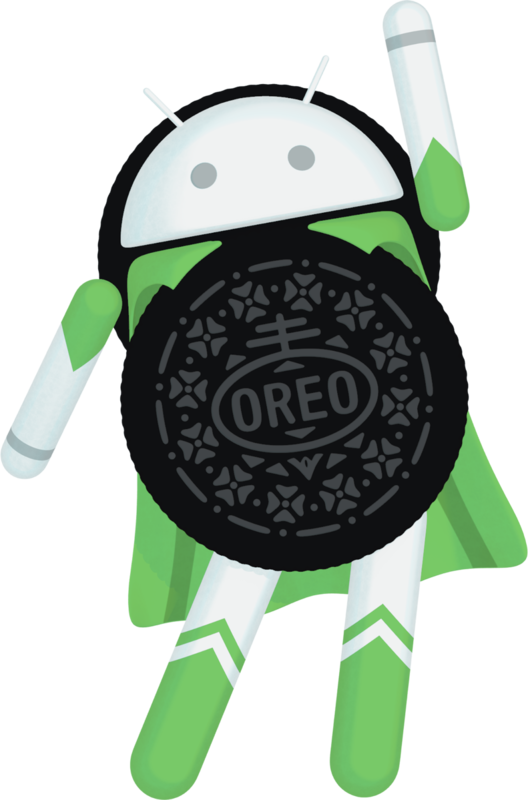 You can get started with Android 8.1 Oreo (API level 27) today. We're pushing sources to Android Open Source Project now, and rolling out the update to supported Pixel and Nexus devices over the next week. We're also working with our device maker partners to bring Android 8.1 to more devices, including Android Oreo (Go edition) devices, in the months ahead. Memory optimizations -- Improved memory usage across the platform to ensure that apps can run efficiently on devices with 1GB or less RAM. Flexible targeting options -- New hardware feature constants to let you target the distribution of your apps to normal or low-RAM devices through Google Play. Optimized Google apps: Rebuilt and optimized versions of Google apps, using less memory, storage space, and mobile data. Google Play: While all apps will be available on Android Oreo (Go edition) devices, Google Play will give visibility to apps specifically optimized by developers to provide a great experience for billions of people with the building for billions guidelines. We've updated the building for billions guidelines with additional guidance on how to optimize your app for Android Oreo (Go edition) devices. For most developers, optimizing your existing APK or using Google Play's Multiple APK feature to target a version of your APK to low-RAM devices is the best way to prepare for Android Oreo (Go edition) devices. Remember that making your app lighter and more efficient benefits your whole audience, regardless of device. The Neural Networks API provides accelerated computation and inference for on-device machine learning frameworks like TensorFlow Lite -- Google's cross-platform ML library for mobile -- as well as Caffe2 and others. TensorFlow Lite is now available to developers, so visit the TensorFlow Lite open source repo for downloads and docs. TensorFlow Lite works with the Neural Networks API to run models like MobileNets, Inception v3, and Smart Reply efficiently on your mobile device. Android 8.1 includes select new features and developer APIs (API level 27), along with the latest optimizations, bug fixes, and security patches. Extend your app with Autofill enhancements, a SharedMemory API, and more. You can also add established Android Oreo features as well, see the Android Oreo site for details. If haven't already, take a few moments today to test your apps and make sure they offer the experience you want for users upgrading to Android 8.1 Oreo. To build with Android 8.1, we recommend updating to Android Studio 3.0, which is now available from the stable channel. On top of the new app performance profiling tools, support for the Kotlin programming language, and Gradle build optimizations, Android Studio 3.0 makes it easier to develop for Android Oreo features like Instant Apps, XML Fonts, downloadable fonts, and adaptive icons. With the final platform we're updating the SDK and build tools in Android Studio, as well as the API Level 27 emulator system images. We recommend updating to the Android Support Library 27.0.2, which is available from Google's Maven repository. See the version notes for details on what's new. As always, we're providing downloadable factory and OTA images on the Nexus Images page to help you do final testing on your Pixel and Nexus devices. When you're ready, you can publish your APK updates targeting API level 27 in your alpha, beta, or production channels. Make sure that your updated app runs well on Android Oreo as well as older versions. We recommend using beta testing to get early feedback from a small group of users and a pre-launch report to help you identify any issues, then do a staged rollout. Head over to the Android Developers site to find more info on launch best practices. We're looking forward to seeing your app updates! We'll soon be closing the Developer Preview issue tracker, but please keep the feedback coming! If you still see an issue that you filed in the preview tracker, just file a new issue against Android 8.1 in the AOSP issue tracker. You can also continue to give us feedback or ask questions in the developer community.